Premier Auto and Truck Parts is committed to selling only quality recycled parts including used front and rear axles and differentials. As with all of our “used” auto and truck parts, these units are inspected for external damage and/or excessive wear before being placed on the shelf to be sold. We only buy and sell high quality used parts from both domestic and foreign cars, trucks, and SUV’s. 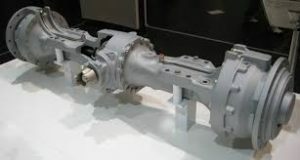 These recycled axles and differentials also come with our standard 6 month warranty. If an axle or differential fails, you could lose control of your car. Losing control of your car could result in an accident. Breaking an axle or a differential while you’re on the road means pulling over and waiting for a tow. You feel strange rumbling sensations when accelerating or turning around a corner. Your engine is running, but your vehicle won’t move. You hear a sudden clunking sound when you try to put your car in gear. Don’t wait if you know your axle is damaged since a broken axle only results in causing more serious damage to your car or worse. You feel vibrations in the body of your vehicle or through the floor, especially at high speeds. You hear a clanking or rattling noise coming from the back of your vehicle when you first turn it on and put it into drive. You hear a whining, howling, or grinding sound that increases in volume as your vehicle’s speed increases. You hear a rhythmic clunking or banging sound as you turn around corners. You hear a horrible noise when you accelerate quickly or are forced to brake rapidly. You notice fluid leaking at the rear of your vehicle. If you hear or feel any of the strange or unusual sounds or vibrations, have your differentials checked before causing more serious damage to your car or worse. As with all our recycled auto and truck parts, used front and rear axles and differentials undergo our in-house quality control inspection once they enter our facility. First: They are inspected for external damage to the housing or hub assembly. Second: The units are drained and removed from the vehicle. Third: Inspection covers are removed for an internal examination of excessive wear or damage. Fourth: The inspection covers are re-installed and the unit is put on the shelf to be sold. Before final delivery, all Premier Auto and Truck Parts used differentials and axles are washed. quality recycled axles & differentials as soon as possible. Premier Auto and Truck offers high quality used front and rear axles and differentials for cars, trucks, and SUVs as well as both domestic and foreign vehicles. If you are having difficulty finding quality used axles and differentials, we can help. Using our up-to-date computer system, we can quickly locate hard-to-find axles and differentials within seconds. Our quality used axles and differentials come with our standard 6 month parts warranty. Additional parts and labor coverage is also available. Premier Auto and Truck Parts offers FREE next day delivery covering all of West Michigan and also parts of Central and Southern Michigan. If you live outside of this area, we also freight axles and differentials utilizing LTL/common carriers to all of the United States and worldwide at very competitive prices.